While wandering throughout Tokyo, columnist Jimmy Viola discovers more Japanese history and culture than he had originally expected. 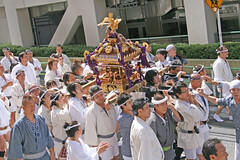 JIMMY VIOLA TTN The Japanese locals celebrate the Silver Week National Holiday with a parade, in which they help each other carry shrines in Akasaka, Tokyo. I never thought it possible to fight the urge to fall asleep while standing in a crowded subway car, but after partying from dusk to dawn in Shinjuku, I found a way. My body twitched and jolted to reel my brain back into consciousness when I came dangerously close to dozing off and missing my stop on the subway. It was 10 a.m., and I had seized the opportunity of a five day weekend — the government mandates a few national holidays a year because Japanese people work so hard they never take a day off — to travel an hour south of Tokyo to Kamakura, a coastal city rooted in Buddhism that the shogun Minamoto Yorimoto named capital of Japan’s military government in 1192. Several thousand Japanese people had the same idea. I gave up on reading city maps and followed the throngs of visitors crowding suburban Kamakura’s cozy sidewalks. They led me to Hasedera temple. Built on the slope of a mountain trail, Hasedera is a compound of innumerable Buddhist temples, scattered among candy-colored pedals and fluttering velvet purple butterflies. The highest point of Hasedera overlooks the coastline, and the sight of tiny parasails gliding on crystalline waves drew me to the beach, where I made friends with some Japanese kids my age who were celebrating the holiday with yaketori, Asahi beer and jet skiing. The round trip to Kamakura only cost a little more than $25. Tokyo is the world’s most expensive city to live in, so it is imperative to look for bargains. 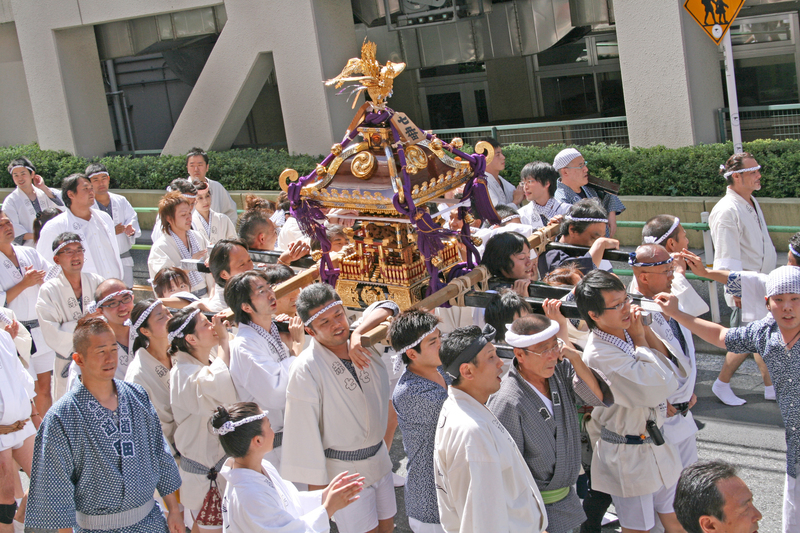 For example, Yoyogi Park hosts free international themed festivals every Sunday. Last Sunday was Vietnamese-themed, and I enjoyed a hip-hop performance straight out of Ho Chi Minh city on the stage at Yoyogi and ate curry chicken kabob and pad Thai noodles for less than $10. Then again, Yoyogi Park is a festive place regardless of the occasion. I once saw a drum circle, several dozen teens dressed up as video game characters practicing for a choreographed dancing video and public saxophone lessons all within a half hour span there. But my favorite fixture at Yoyogi is the Tokyo Rockabilly Club. Each Sunday these smooth cats roll into Yoyogi in their pink Cadillac wearing black leather tights and grease-slicked hair to dance to the tunes of Chuck Berry and his Japanese counterparts. They only rest from their jumping high kicks and full front splits to re-comb their hair and pour more beer down each other’s throats. Near Ueno Kōen, another free public park sprinkled with Buddhist Temples and shrines, is the Yanaka cemetery for infants. Yanaka is adorned with 84,000 statues and representations of the Buddhist deity Jizō, guardian of stillborn infants, women in child birth and travelers. He must be watching over me on my Japanese journey because I seem to uncover yet another treasure whenever I lose myself. Relocated reporter Lee Miller documents his adventures abroad while living in Tokyo. Columnist Jimmy Viola immersed himself in Tokyo culture after an appearance on a variety show. Students who are sexually assaulted at Temple University Japan need a way to get help.